The success country duo Maddie & Tae have seen this year doesn’t seem to be stopping any time soon. 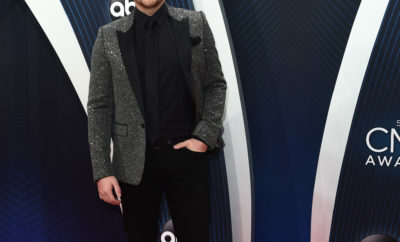 The pair will be attending the 49th Annual CMA Awards, but as three-time nominees. The categories include Duo of the Year, New Artist of the Year, and Video of the Year for the girls first smash hit ‘Girl In A Country Song’! Since releasing the now platinum record in 2014, Maddie & Tae have become very popular throughout the country music industry. The girls started off 2015 in a BIG way. On top releasing of their new single ‘Fly’ to country radio in January, the girls announced they would be joining Canaan Smith and Kip Moore on Dierks Bentley’s 2015 Sounds of Summer Tour. Then in February, the girls finally released a music video for ‘Fly’, which now has over 10 million views. The next couple of months, the girls performed at numerous festivals, including Stage Coach in California and Tortuga Festival in Florida and they even traveled to Australia for a few performances! June was a huge month for Madde & Tae. 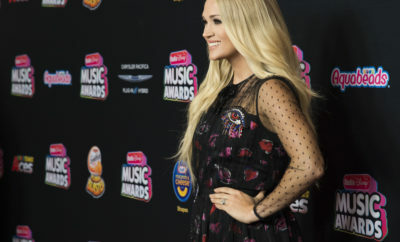 They performed at the Riverfront stage AND LP Field during CMA Fest in Nashville, received three nominations for the CMT Awards, AND announced their debut album ‘Start Here’ was being released on August 28th. Now, Maddie & Tae can add 3 CMA nominations to their already decorated list of accomplishments from 2015 including multipe daytime tv show appearances, some Golden Boot Awards, and a debut album that hit #2 on the Billboard Country Chart! ← Previous Story Imagine Dragons release video for Roots! Food Network In Concert! Zane Carney, Twin Forks, Alexandra Richards, and California Wives! One Direction Announces Fourth Album!